Perfect for Bose 601 repair! Re-foamed a pair of Bose 601 speakers that I purchased new in the mid 1980s. This was my first attempt at repairing speakers. The process was simple and straight forward. And now the speakers sound as good as new! 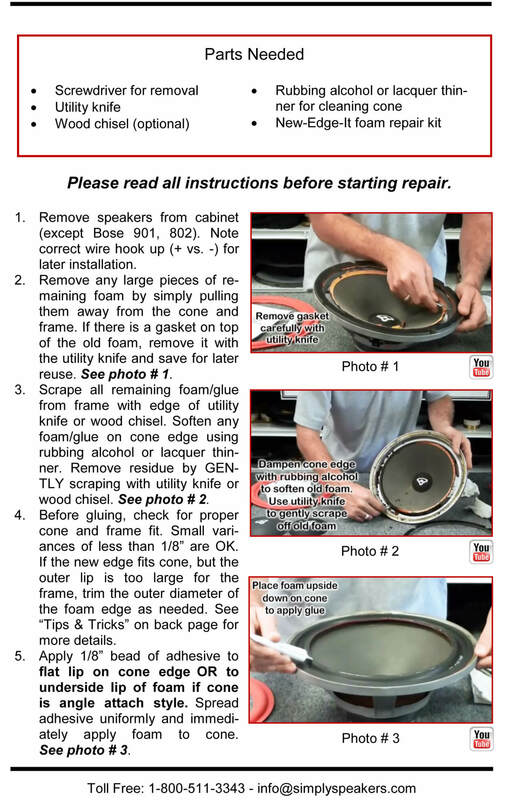 Just finished installing a Foam Repair Kit for a set of Bose 601 Series II Speakers. Very easy to install per the instructions. The only thing I changed was rather than unwrapping the wires from the post on the speaker and then trying to rewrap them I cut the wires and then reconnected them with a small Sta-Kon splice connector. Much easier than trying to rewrap the wires to the post and less chance of getting the wires on the wrong post. This is the second set of speakers I have done. Great Product guys. 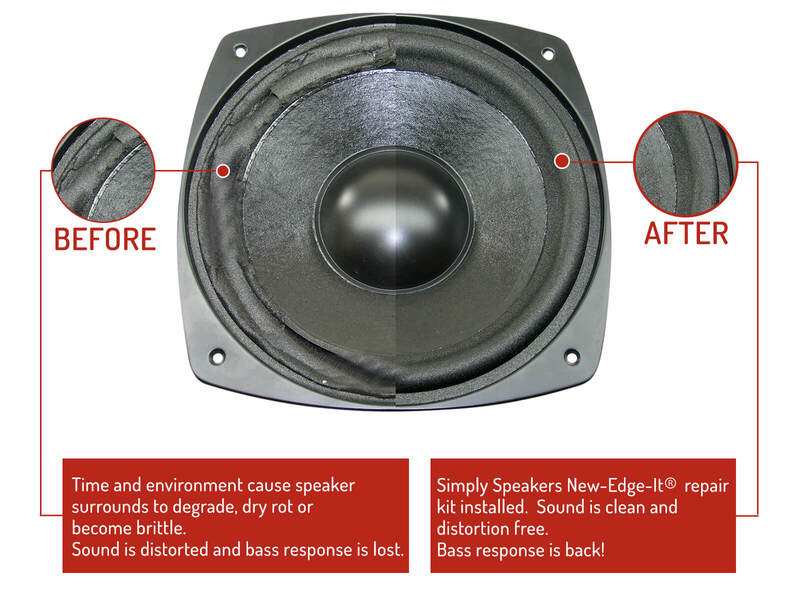 I would recommend this product to anyone that has speakers where the foam has degraded. 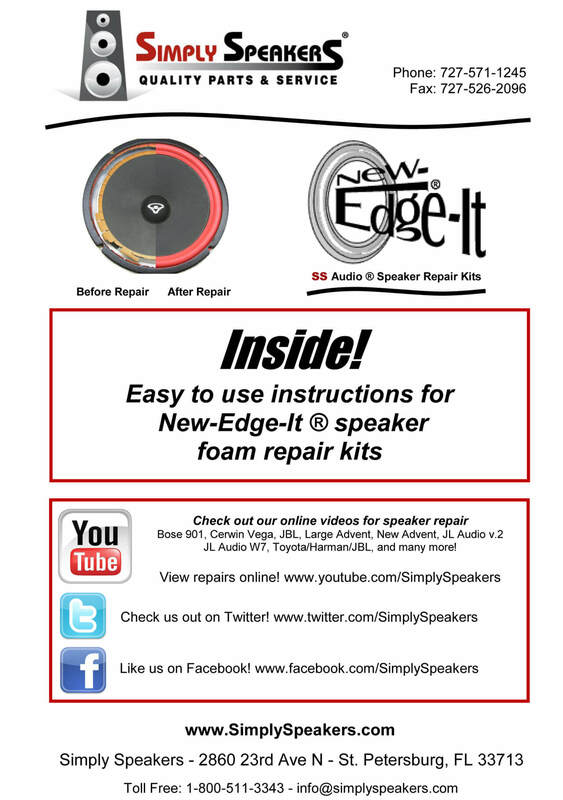 I have used several Simply Speakers foam kits for speaker repair projects. They always work great and restore the speakers to like-new condition. I especially like the glue. It gives plenty of time to position the foam without taking too long to set up. Shipping of the kits is very fast also. I often get a message saying the order is shipped within a couple hours of placing the order. Awesome! I've now restored 6 Bose speakers to their original rockin' sound. See it done on video, do it, now I can teach anyone to do it. It is that easy. To all that doubt their abilities to do something, you have nothing to loose in trying. Works for me. Bought these speakers in 1982.The foam became fatigued by 1992. Refoamed with this kit, and can honestly say they have never sounded as good. My wife was with me in 82 when I purchased them and she is amazed. Thank you Simply Speakers. I bought this repair kit for an old Bose speaker cabinet from the 70s. The two 8 inch speaker cones in each cabinet were completely rotted. I watched the repair video on Utube from simply speakers. 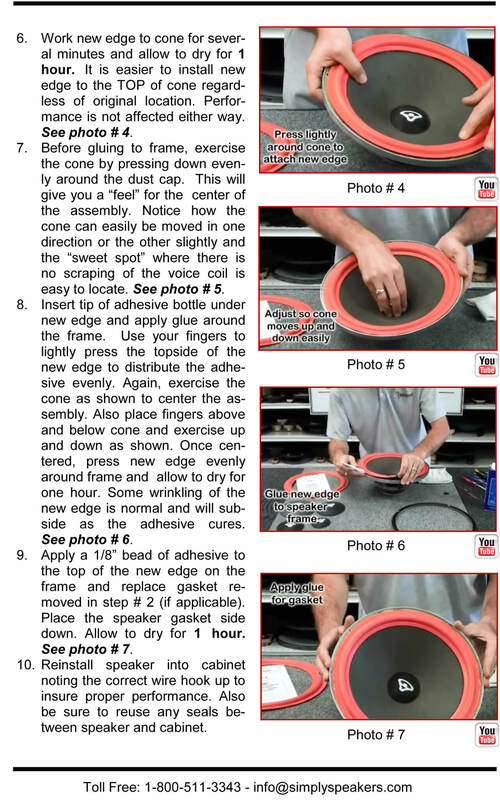 It was a great step by step tutorial on how to repair these speakers. I took my time and everything went smoothly. If you are a do it your self person just watch the video, take your time, get off as much of the old glue as possible and after applying the new glue just keep working it until it's tacky. The next day I re-installed the speakers, through on an old Led Zeppelin album and cranked it up. They sounded awesome. 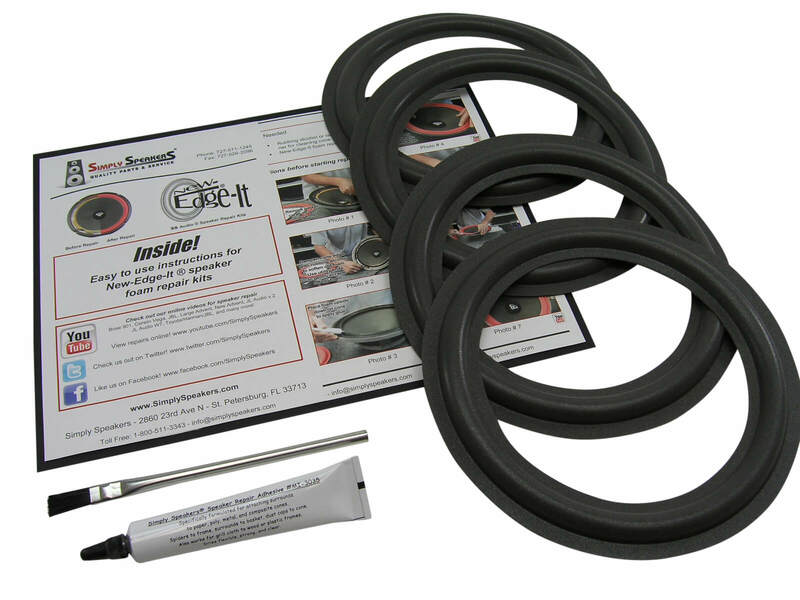 So if you want to save a boat load of money, buy a repair kit from Simply Speakers. I give it 5 stars. Bob Hammonton, NJ. Nice easy fix for 40 year old speakers I thought I had to throw out. On-line videos helped. This is just what I needed a great product and the video properly use the product. Keep up the good work. Q: Does this kit fit Bose 601 series III? Also, does the replacement woofers fit the Series III also? 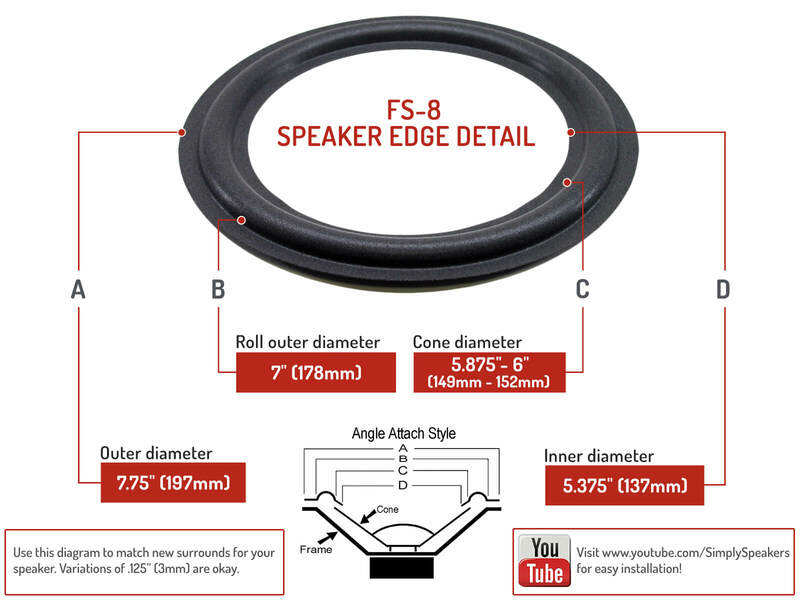 A: Yes, this foam replacement kit fits the Bose 601 series 3 and the W-810 replacement woofers work as well. 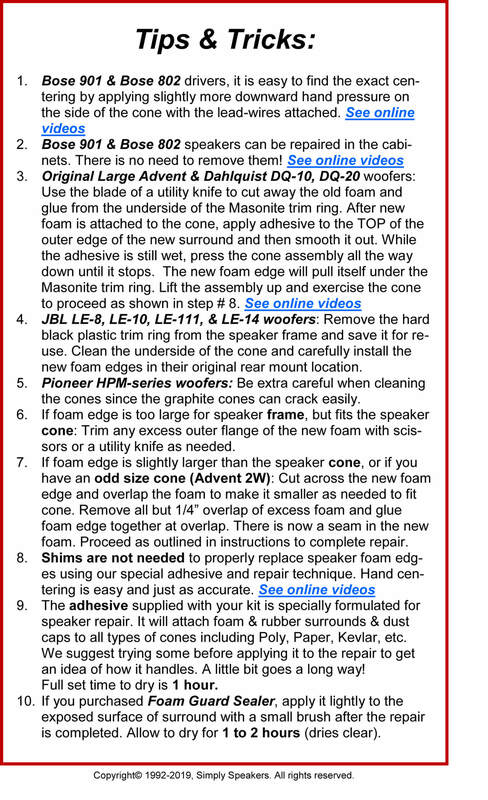 Q: How many speakers does each Kit Repair? I have four Bose 6.2 three of which are in need of repair. Also does each kit include everything necessary to make the repair sealant Etc? Thx! A: This kit will fix four woofers. 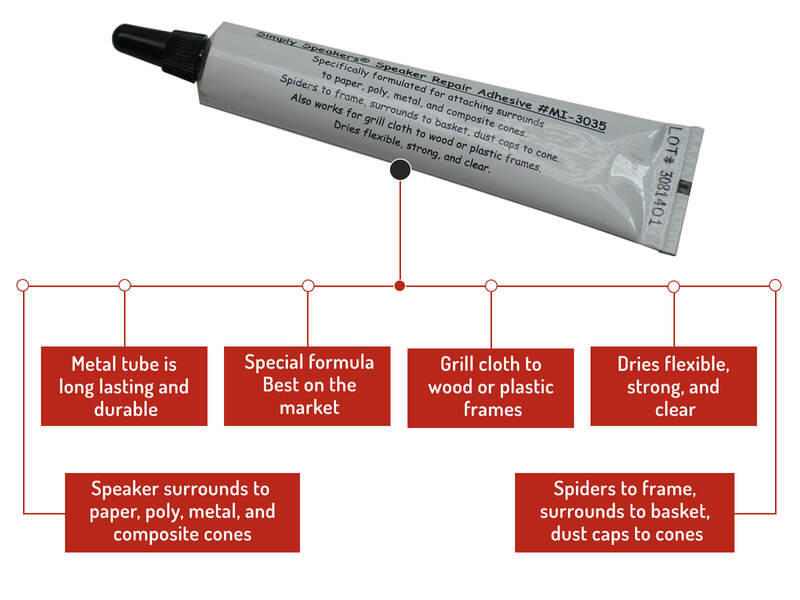 All parts, glues, etc are included. Q: Will this work with Series 1 woofers? A: Yes. This is the correct kit for the Bose 601, series 1 and others. Thanks! Bose: 2, 4.2, 10.2, 111791, 114271, 127542, 127542-1, 18187019 (070500), 300, 301, Continental, 301 Series IV, 301 Series III, 301 Series II, 601, 601 II, 2A, InterAudio 2000, InterAudio 3000 XL, InterAudio A-2, SA-300, SA300, StudioCraft 330, and many more!